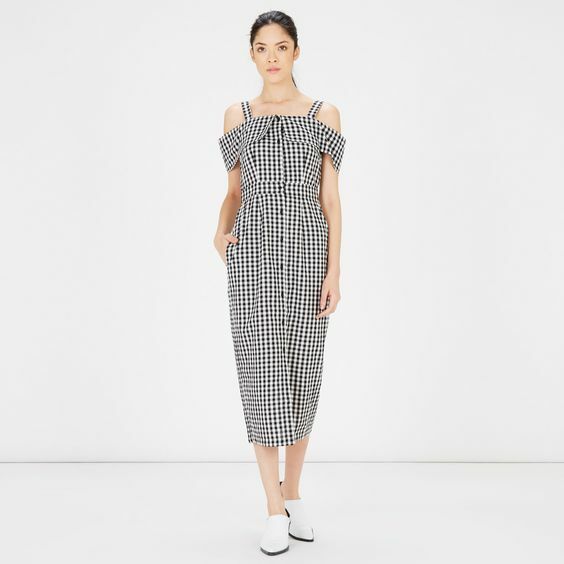 Here are the best gingham pieces on the high street now and how to style..
A great way to dip your toe into the trend without investing too much money. 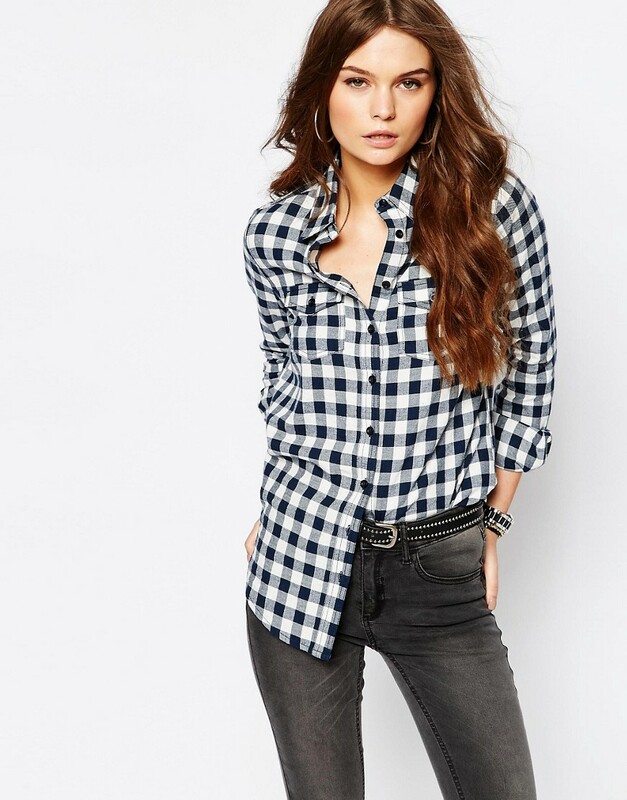 This shirt will look fab with khaki cargo trousers and trainers or heels (as streetstyle image above) It will also look lovely in the summer with cut off denim shorts and tan or black flat sandals. This 100% cotton shirt looks amazing, it is boho perfection with tailored edge. I love the thought of this on a summer's day with cut off 501 shorts and tan majorcan sandals, a few fine gold necklaces of different lengths and a tan slouchy boho leather bag..stunning. A boxy top, would look fab with skinny, kick flare blue jeans and flatform, white supergas. The cutest little gingham shorts, these would look great with a relaxed denim shirt and white supergas. A fab 'cecile copenhagen' tribute, this slouchy viscose/cotton mix tee will look great over ankle length blue skinny jeans this Spring/summer. Add a pair of black leather, flat strappy sandals for a cool, laid back look. I love the high front and low back of this dress, it would look fab styled as the streetstyle image above with a pair of stan smiths and add a red bag for a pop of colour. 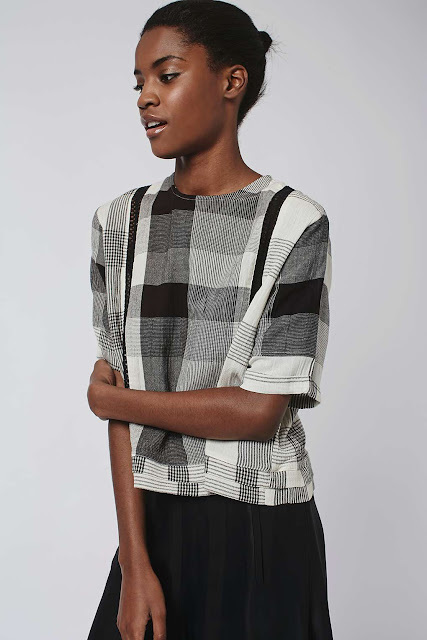 So not necessarily gingham but black and white and I am strangely obsessed with this knitted vest top. 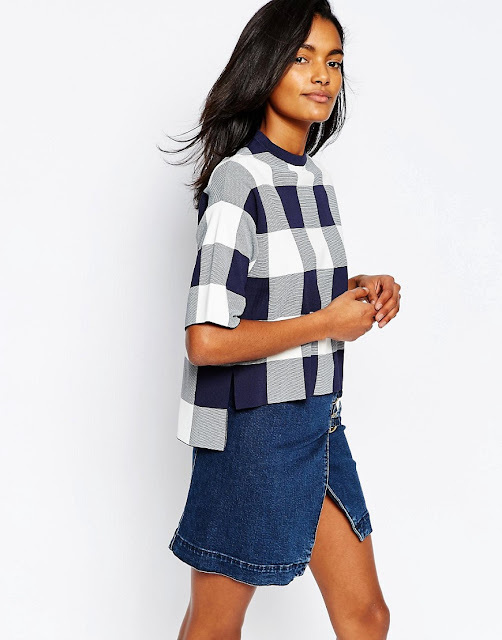 I love the idea of it again with levis cut offs and flat sandals in the summer, the perfect alternative to the basic vest top. Love the shoes as well but cannot track them down?! 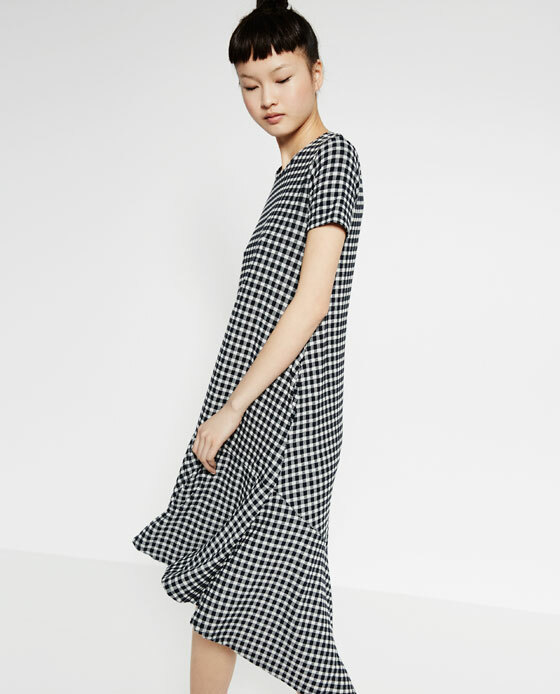 Gingham so reminds me of the 90s. I do love the Denim & Supply shirt with the boho jewellery. I might be trying that out with a stripy shirt and jeans. 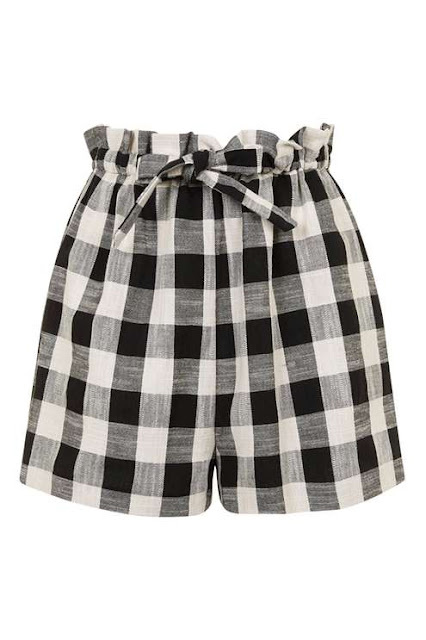 Love all the gingham pieces in your post, especially the last one, it's perfect for summer. Not sure how I've missed 3 of your blog posts?! Love these looks, I have a gingham shirt but it's small check, can that still work or is big gingham the name of the game this season? Will have to try styling like you suggest and see if I can make it look as good! 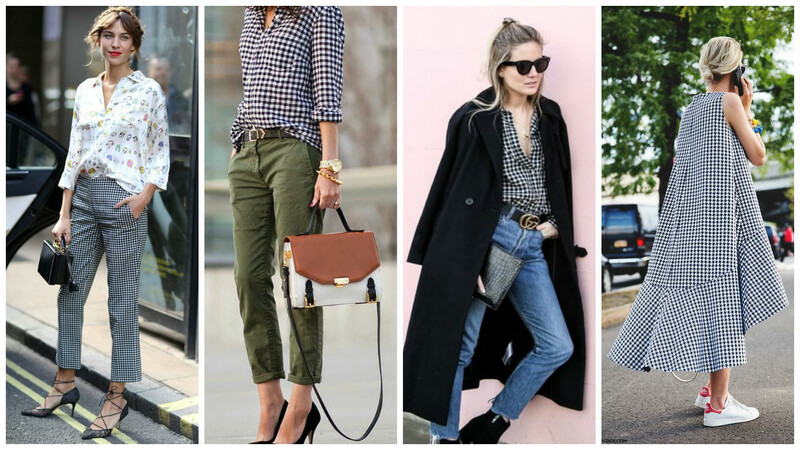 I've not worn gingham for years, I might be tempted now as I'm loving all your suggestions. Especially the gorgeous Warehouse dress. A great selection of outfits. These all outfits are awesome and perfect for summer.I like all of them. Thanks for sharing such nice collection with us. Stunning outfits. These all outfits are in trends and fashion. I like all of them. Thanks for sharing the post with us. I LOVED reading all of this!!!! What a great post!!! You’re always looking so wonderful in all of your outfits! I like this dress very much!